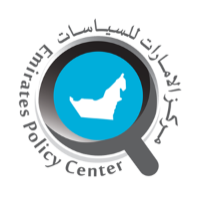 EPC specialize in forecasting the future of the Middle East and North Africa (MENA) countries, regional and international policy trends, and the impact of different geopolitical projects on the region. Client had a requirement to build a cost-effective Intranet portal which could be used as a document repository to host and share documents among employees and that allow a rich interface where data and documents could be managed with unique permissions. Client had multiple departments with their specific documents which were difficult to share among employees when they need them. Also client wanted to a have a transparency between employees and management where employees have freedom to suggest or provide feedback on any company provided facilities. Intranet portal was divided in multiple modules. Main module was visible to employees were they could do business specific operations. Looking at departments need multiple document libraries were created to host department specific documents with unique permissions. To keep employees updated about company products, portal banner was implemented were all products were shown in revolving mode. Also, they could be wished from birthday section itself with a single click. To keep transparency, employees were enabled to provide suggestion or feedback on any of company arrangement.